Blizzard Entertainment is now accepting pre-purchases for World of Warcraft: Warlords of Draenor. They're also selling the associated level 90 character boost starting today. 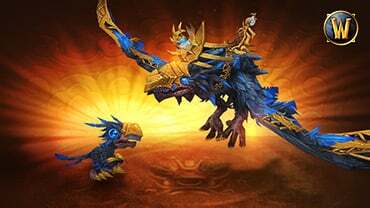 World of Warcraft Dread Raven Mount and Dread Hatchling Pet - "Swoop down from the dark night skies on the back of a black-winged Dread Raven mount, a mortal progeny of Anzu. Then devour your prey in your next pet battle with the adorably ferocious Dread Hatchling." StarCraft 2 Portraits - "Summon the strength of two of the most deadly Iron Horde war chiefs - Grommash Hellscream and Blackhand - as you take on the Dominion with these two StarCraft II portraits." Diablo 3 Warsong Pennant - "Brandish this battle-torn pennant on your back, and channel the rage of the Warsong Clan against the demonic forces of Sanctuary in Diablo III." In order to download and play Warlords of Draenor when it's available, you need to have WoW as well as the Mists of Pandaria expansion. The base game, priced at $19.99, now includes the first three expansions' content. Pandaria, also $19.99, added a new continent to the world with content for level 85-90 characters. 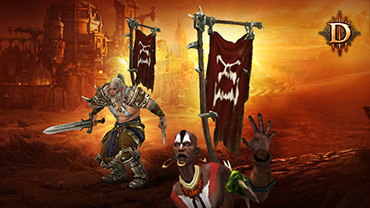 Both the digital and standard editions come with a free boost to level 90 for one character. This boost will be available through the character select screen. After choosing a toon to upgrade, they'll be instantly upgraded to level 90 and given a set of gear appropriate for their spec and new level. The newly 90 character will also get some other basic items to get them started: 150 gold, 4 Embersilk (22-slot) bags, a stack of 20 food items, and a flying mount. Blizzard illustrated this character boost with a comical trailer this weekend. Blizzard is also selling these character boosts on their own starting today. You can access them through the in-game store. Each boost costs $60 to purchase. The World of Warcraft website says that Warlords of Draenor should arrive by Fall 2014. 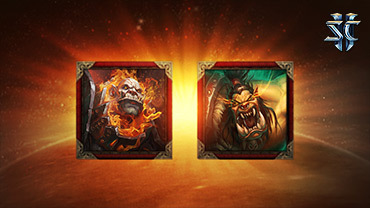 The Battle.net shop says to expect the expansion "on or before 12/20/2014." However, certain regions in the southern hemisphere will have to wait until the following Spring. While you'll have to wait awhile for Warlords of Draenor, the character boost included with pre-purchase and the digital deluxe edition extras are available right after you pay. It's a clever way for Blizzard to give some instant gratification to the pre-purchase process. I'm sure that seeing players riding around on Dread Ravens within the game will inspire a few players to place their order.